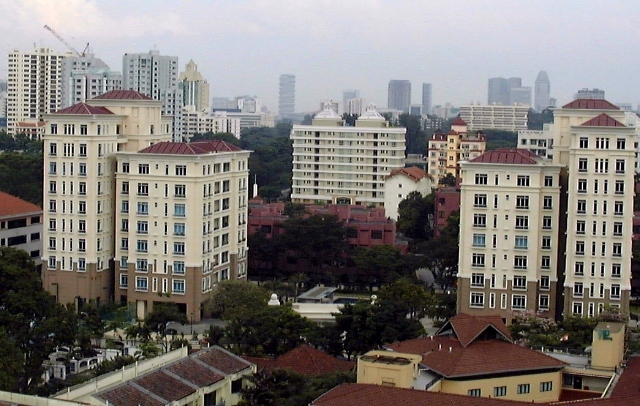 Report commissioned by Asiahomes Internet as a free information service to relocating expats. 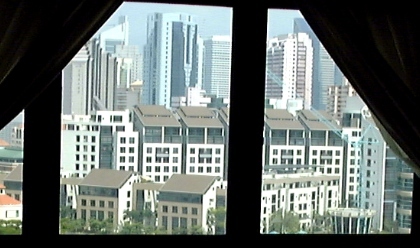 http://www.asiahomes.com is the webpage of Asia USA Realty (Singapore) asiahomes.com Pte Ltd. Many high quality interior finishes. 10-15 minute walk to Newton subway. 5-min drive to downtown Orchard Road. Has a holiday resort ambience. 4-bedroom 2314 sq. ft faces pool. Swimming pool, children pool, steam room, tennis court, gym, playground. Basement car park and security. Access card to apartment. Characteristic. 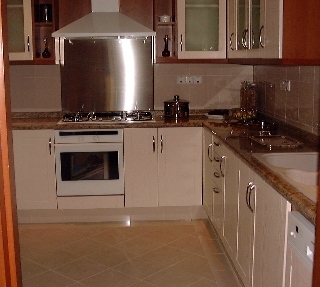 Air conditioned kitchen and dishwasher in the kitchen. 4+1 2314 sq. ft $8,500 partially furnished. $9,500 fully furnished. The 4-bedroom units face pool. No balconies in 3-bedroom. Small one in 4-bedroom units. Balmoral Residences (2 blocks foreground). The Hermitage (middle) and Rising Suites, reddish building, right of The Hermitage. Balmoral View (yellow building, front). The Hermitage is a 5-minute walk to the Newton subway. Balmoral Residences will be a 15-minute walk. Resort ambience. Big lap pool for serious swimmers. Living area with balcony. Dining area may not fit huge dining tables. Modern master bathroom with shower stall and long bath. Most modern kitchen appliances and fridge. Dishwasher (bottom, right) seldom seen in most Singapore condos but much loved by Caucasian wives. Rising Suites maisonette penthouse 3+1 1500 sq. ft $3,000 fully furnished. Low density. One block. Lounge Pool and gym. 5-min walk to Newton subway. Email judy@asiahomes.com for an appointment to view. MODERN CONDOS & A SEMI-DETACHED HOUSE FOR RENT. River fronting. Upscale condo. Near Raffles Place and Clarke Quay's pubs and cafes. 3-bedroom $6,000. Ground floor unit with patio, direct river facing $7,000. Brand new Ardmore Park condos 4+1 2900 sq. ft and penthouses, near the American Club renting from $10,000 - $20,000. 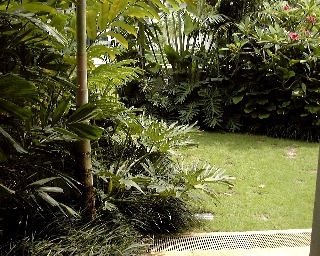 The Lotus Sanctuary at Coronation Road has a small back garden and an outdoor jacuzzi pool. Modern semi-detached. Park 2 cars. Caucasian expatriate enclave. Aug 20, 2001. One unit for rent at $12,000. Braddell View apartments, 8-min walk to the Braddell subway now has a swimming pool and gym. Most 3-bedrooms are owner occupied. Rentals for a well renovated 3-bedroom are around $1,700 but you have to be decisive as there are not many well renovated ones. 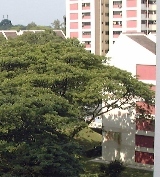 Braddell View is over 20 years old. It has maisonettes and high rise apartments, pool, tennis courts and is a 10-min walk to the Braddell subway. . Living and dining areas with wood flooring. This unit is renovated. Original units have ceramic tiles. Open concept kitchen. For more information on rentals or FREE house-hunting for expats relocating to Singapore, email judy@asiahomes.com, tel: +65 9668 6468.